RealEstateRama Tags Posts tagged with "Economic Recovery"
WASHINGTON, D.C. - March 21, 2013 - (RealEstateRama) -- Growing labor shortages in all facets of the residential construction sector are impeding the housing and economic recovery, according to a new survey conducted by the National Association of Home Builders (NAHB). 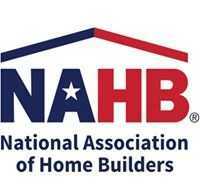 Builder confidence in the market for newly-built single-family homes rose one point to 63 in April, according to the latest National Association of Home Builders/Wells Fargo Housing Market Index (HMI) released today. Sentiment levels have held in the low 60s for the past three months.